Freelance, mostly-full-stack web developer who specializes in frontend development, as well as a stand-up comedian, podcaster, producer, host, and promoter in New Orleans. Check the menu on the left for more details, or jump into my Coroflot portfolio, my Twitter, or checkout some comedy shows in New Orleans. View his portfolio, GitHub, Layman Weather Glitch app, or his Heroku-hosted NodeJS-based Twitter bot. Download his CV as a wonderful PDF. Geoffrey Gauchet is a stand-up comic from New Orleans, LA. He was also voted "Best Male Twitter Account" as chosen by the readers of Gambit Weekly. He, his house, and his cats, were featured in episode 7 of VICELAND's Flophouse series. He hosts the monthly comedy gameshow The Rip-off Show at Hi-Ho Lounge, and the monthly stand-up drinking game Wait, What? at Seahorse Saloon, and a weekly open mic, Crescent Fresh, every Thursday at The Dragon’s Den. 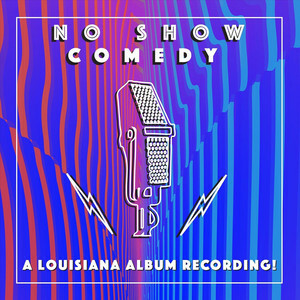 He also curates 504Comedy, a living calendar of stand-up, improv, sketch, and storytelling shows in New Orleans and is the host of the Simpsons-centric podcast The Blurst of Times. 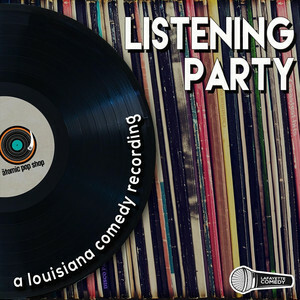 Check out the site for his comedy gameshow The Rip-off Show, his comedy drinking game Wait, What?, his weekly open mic Crescent Fresh, the living comedy calendar he built and curates 504Comedy, or his YouTube channel. Twitter explodes with #NOLAConfessions: What are yours? Aside from writing jokes and code, Geoffrey blogs, tracks hurricanes, brews beer, cooks, and occassionally posts a photo on Instagram not of his cats. You can read his blog, like his tweets, be his friend on Facebook, watch his stupid videos, or look at photos of his cats and food he cooked. He used to co-host a sports podcast, believe it or not, called Delay of Game. He was also the subject of a cover story for Gambit Weekly (December 4, 2017) about the hurricane scale and algorithm he developed, called the Tropical Cyclone Intensity Scale.